Facebook, Instagram and WhatsApp are back up after a 13-hour outage that affected some users throughout the world, the company confirmed. “Earlier today, a server configuration caused intermittent problems across all apps globally creating a degraded experience for users. The issue has since been resolved, we are back to 100 percent for everyone and we’re sorry for any inconvenience,” a Facebook spokesperson told ABC News in an emailed statement. 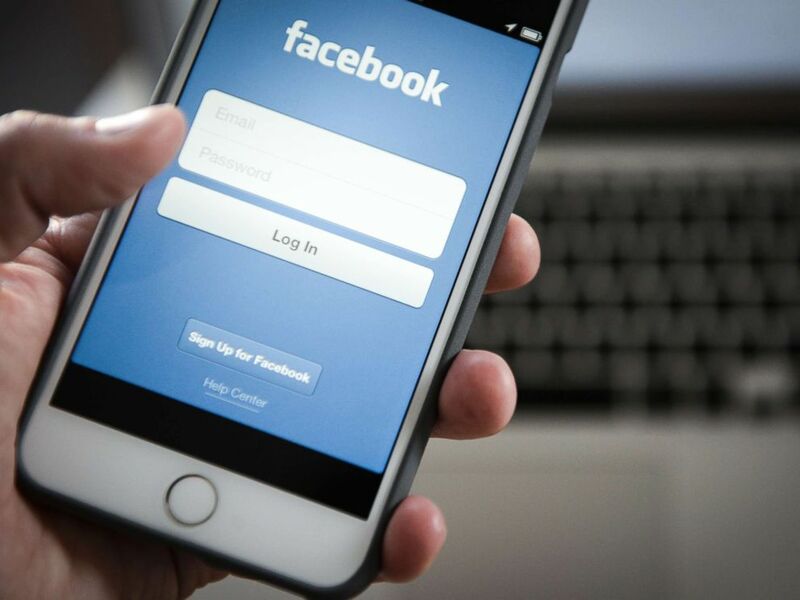 The Facebook log in screen is seen is seen on an iPhone 8 plus in this stock photo, May 25, 2018. The outage comes at a particularly sensitive time for the company. Many businesses use Facebook and Instagram to promote pivotal Black Friday sales, some of which have already started. The retail sector took a bleak turn in the stock market on Wednesday, which may make companies who partnered with Facebook particularly concerned about the outage. In addition, Facebook is still on the defensive after a blockbuster report in The New York Times detailed how the company reacted to increased scrutiny and security breaches from Russian accounts ahead of the 2016 U.S. presidential election. The report revealed that the company had used a Republican-linked consulting firm, Definers Public Affairs, to plant stories in the media attacking Facebook competitors and critics, including Apple, Google, Tim Cook and George Soros. Facebook fired the firm the day the story was published. The company's CEO Mark Zuckerberg was even mocked over the weekend on "Saturday Night Live." According to the Facebook's site for developers, the "degraded performance" started around 6 a.m. Eastern. 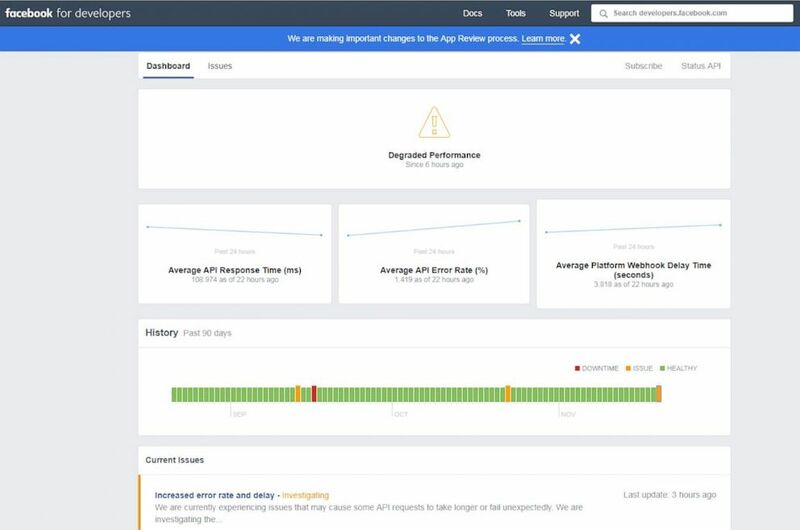 The Facebook developers dashboard displays a message about degraded performance in a screen grab made shortly after noon on Aug. 20, 2018. In addition to Facebook, the company owns Instagram and WhatsApp. Users around the world took to Twitter early Tuesday to complain about the outages, which didn't affect all users.